MAURI SOFT WHITE BREAD MIX – PERFECT FOR EVERY LUNCHBOX. Did you know ‘softness’ is one of the key things parents look for when buying bread for their families? Fact is, kids just love soft sandwiches. With children all over Australia now heading back to school, there’s never been a better time to make the most of MAURI Soft White Bread Mix – your #1 choice for soft sandwich loaves and rolls. MAURI Soft White Bread Mix helps you bake classic white breads with the delicious soft white crumb everybody loves. It’s the ideal base for baking traditional lunchbox favourites like white loaves and rolls. But it’s also perfect for keeping lunchboxes interesting with more imaginative creations including plaits, twists and any number of flavour combinations. Why not consider adding fresh toppings like cheese and bacon, diced olives and feta, or perhaps even sundried tomatoes? Kids will love them, and parents will too! Easy to use, easy to enjoy. Like the entire range of MAURI bread mixes, MAURI Soft White Bread Mix has been expertly crafted to deliver you a product that’s as good as baking from scratch. It’s convenient, easy to use and bakes with consistent quality every time. Simply add yeast and water for a result your customers – and their kids – will always love in their lunchboxes. To take this versatile mix to the next level, enjoy our MAURI Soft Bread Tips and Techniques Guide on achieving the ideal sandwich loaf, soft rolls and a myriad of wonderful plaits. Posted in InnovationLeave a Comment on Back to School, back to sandwiches! Digital technology continues to revolutionise pretty much every corner of society – and this includes baking! 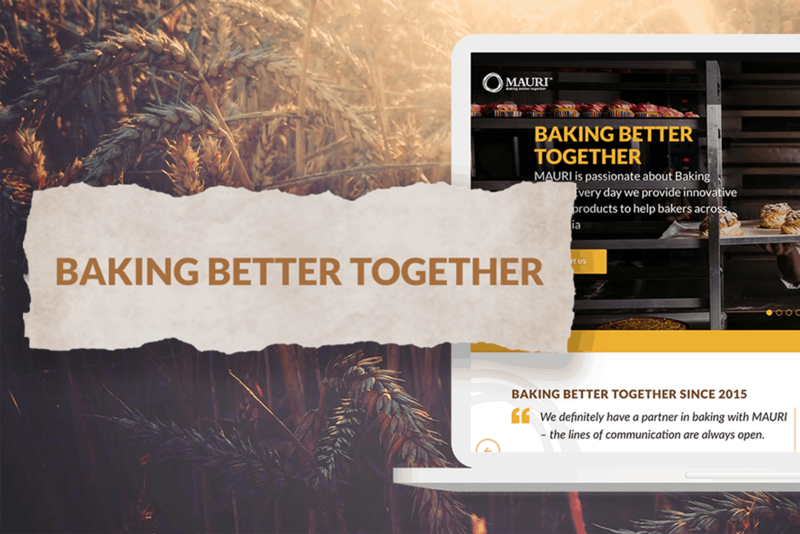 As part of our company-wide commitment to ‘Baking Better Together’ you’ll start to notice a move towards increased digital activity for MAURI in the coming year or so. Headed by our all-new website, it will also include a more active presence in your favourite social media channels like Instagram, and Facebook. While we’ll always remain a proud face-to-face business with a strong personal presence right across Australia, we know we can use technology to help support our customers in smarter and more efficient ways. Our increased digital focus will help give you access to an ever-growing resource library with everything you need in one handy place, 24/7, from MAURI product information to industry news, ideas and inspiration. We’re excited about the future and look forward to sharing more news very soon, so be sure to keep an eye on the MAURI website and, of course, follow us on social media using the easy links below.